Speakeasy Tuesdays, starting June 12 at Augustino Brewing Company! 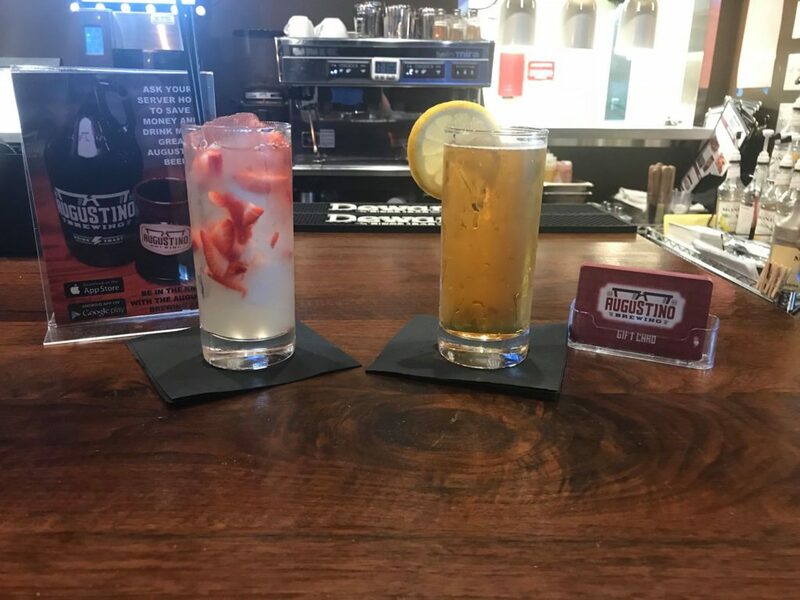 At AugustinoÂ Brewing Company, we’re all about quality beverages, beginning with our craft beers. But, if you’ve not had the opportunity to try out our Signature Cocktails, you’re in for a treat. These aren’t your typical mixed drinks, by the way. Our Signature Cocktails are formulated by some of the top mixologists in the Wichita area. They’re not your rum & Coke drinks. These drinks are both full of alcohol and extremely enjoyable to consume, which is often the exception, not the norm. Come on out this Tuesday and every Tuesday and try out our special drinks and enjoy $2 off all day. No need to wait for a Happy Hour. We’re ready with the deals when you’re ready to enjoy! Cheers! *Unfortunately, we are unable to offer this discount on our CBD Cocktails, but they are worth every penny!